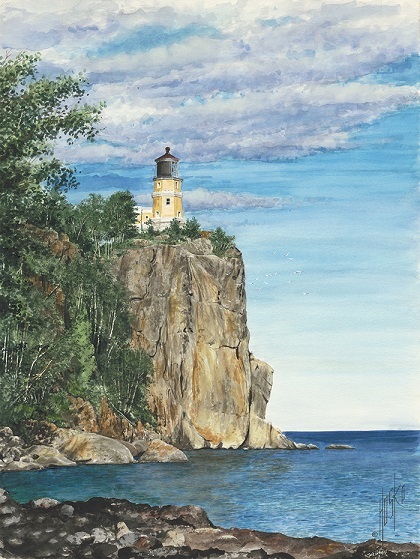 One of the artist’s first watercolors, Split Rock Lighthouse rests high atop a 130-foot cliff overlooking Lake Superior in northeast Minnesota. A Minnesota landmark completed in 1910, it is part of Split Rock Lighthouse State Park which is operated by the Minnesota Historical Society. The site includes the original tower and lens, the fog signal building, the oil house and the three ‘keepers' houses. 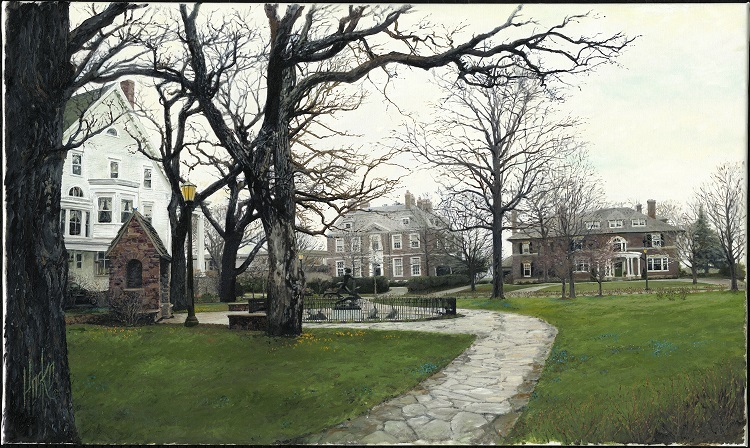 The site was added to the National Register of Historic Places in 1969.